KreyaLogic developes end-to-end Mobile Solutions across Iphone, IPod Touch,I pad, Android & windows. 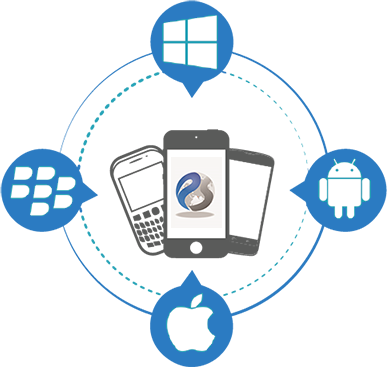 We have a team of most proficient and tech-savvy mobile apps developers. Our skilled developers have in-depth knowledge of major platforms or frameworks used such as Ionic, Icenium, Titanium, Phonegap, Native for Mobile apps development. When you choose KreyaLogic, you are partnering with most cost-effective team that has been designing and developing feature rich Mobile Apps. for may years. With the experience of 100+ successful App Development project executions, Primetech bring idea from concept to realty. At these stage where your concept will actually taking place. With know how in implementing complex solutions, Primetech will provide a customized approach to every stages of app development process. After UI Design Approval, Our Proficient team will start coding your application based on process flow & documentation. Primetech encourage you to work side by side with our development team during these phase. Submitting applications to their appropriate stores is the last step in the development process. Once the app has been submitted, it will be under your full control, pricing and account information is totally up to you. If you are looking for quality partner or vendor, to assist you develop applicaitons for Mobile Web & Mobile Apps, then we would be pleased to discuss how we might fit into your plans.